The recently released Jaguar XE has made giant waves in the luxury sport sedan class this year, bringing more power, features, and style to the mix for drivers in Rumson, Colts Neck, and the surrounding areas. While this model comes in with an accessible MSRP, you can get an even better deal when you opt for an Approved Certified Pre-Owned Jaguar XE from Jaguar Monmouth’s impressive lineup of Jaguar models. Vehicle pricing may include, where required, an electronic filing charge and an emission testing charge. Price(s) include(s) all costs to be paid by a consumer, except for licensing costs, registration fees and taxes. This price also excludes the dealer document processing charge of $499.00. While great effort is made to ensure the accuracy of the information on this site, errors do occur so please verify information with a customer service rep. This is easily done by calling us at (877) 672-8680 or by visiting us at the dealership. *ACPO Coverage, including limited warranty and roadside assistance, expires up to seven years from the original in-service date or 100,000 miles, whichever comes first. Original in-service date is the earlier of the new-vehicle retail sale or in-use date, as reported to Jaguar Land Rover North America, LLC. Select vehicles may have the option for different warranty terms. Vehicles with the 7 years/100,000 miles limited warranty are limited in supply and only available at participating Jaguar Retailers. See your authorized Jaguar Retailer for complete terms and conditions. **Original in-Service date is the earlier of new-vehicle retail sales or in-use date, as reported to or by Jaguar Land Rover North America, LLC. See your Jaguar Retailer for details or call 1-800-396-7373. On top of advanced Jaguar InControl infotainment and robust output from an available V6 powertrain, each certified pre-owned Jaguar XE gets a variety of Jaguar CPO advantages—including a lower price than a new model, a 165-point inspection by a certified Jaguar technician, a vehicle history report, and the remainder of the vehicle’s original 7-year/100,000-mile limited warranty. Not sure which CPO Jaguar is right for you? Get some help by looking at these Jaguar comparison guides. 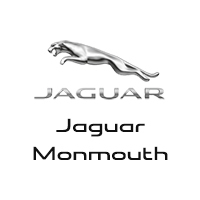 If you’re ready to test drive a certified pre-owned Jaguar XE or any model in the lineup, take the trip from Holmdel or anywhere in the area to Jaguar Monmouth at 807 Highway 35 in Ocean, NJ.